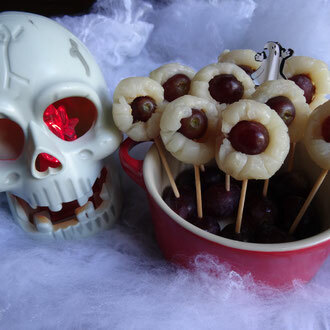 This is great for a party & if your making it for adults add a shot or two of vodka or white rum! 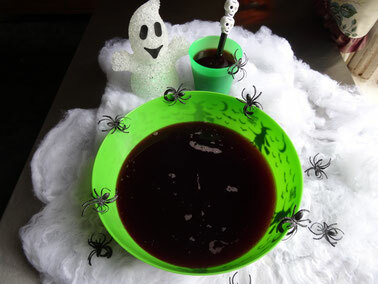 Mix together the juices & lemonade in a large jug or bowl & serve. Add the alcohol (if using) & some ice cubes if you wish. Sounds pretty disgusting I know but it is Halloween so we can be excused! Drain the lychees & place in a bowl. 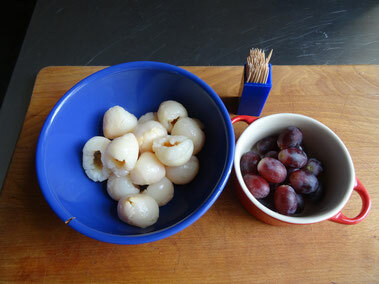 Take ½ a grape & gently push it into a lychee (there will be a hole where the seed was). 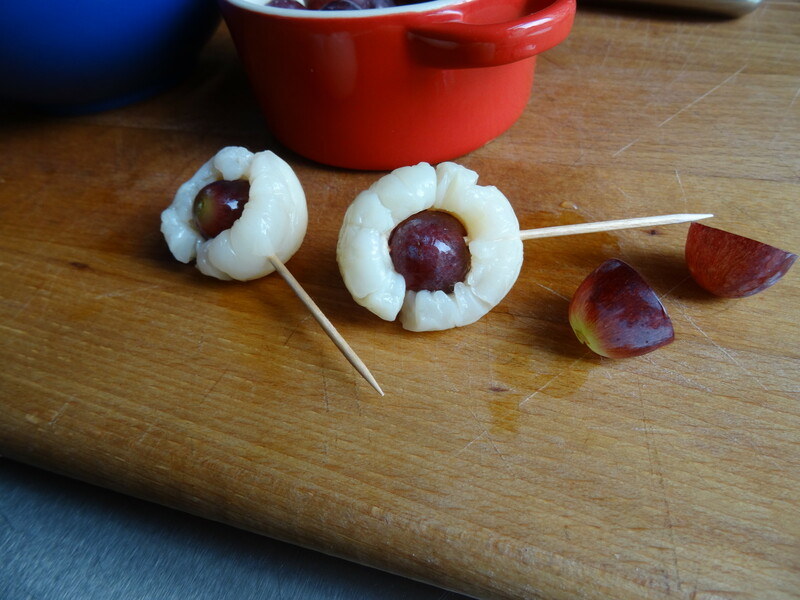 Push a cocktail stick into the lychee & through the grape to hold it all together. 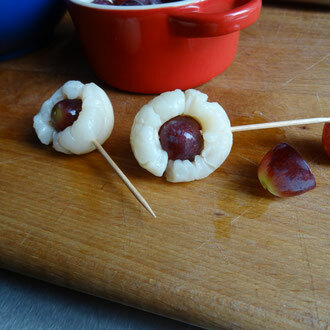 Place a layer of grapes in the bottom of a serving dish & use them to secure the sticks! 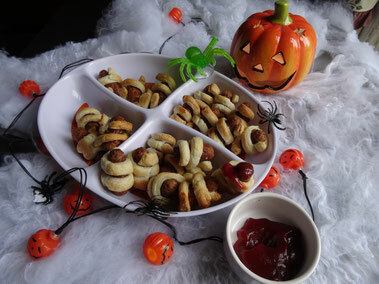 Scary but yummy bites of pastry wrapped sausage-just add blood..er I mean ketchup!! 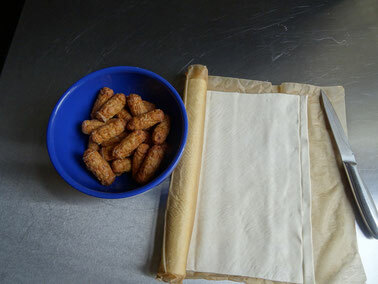 From the short end of the pastry cut into strips approximately ½cm wide, then cut each strip in ½. 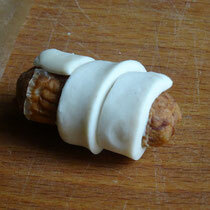 Take a strip of the pastry & wrap it around a sausage, place on a baking tray & repeat with the rest. 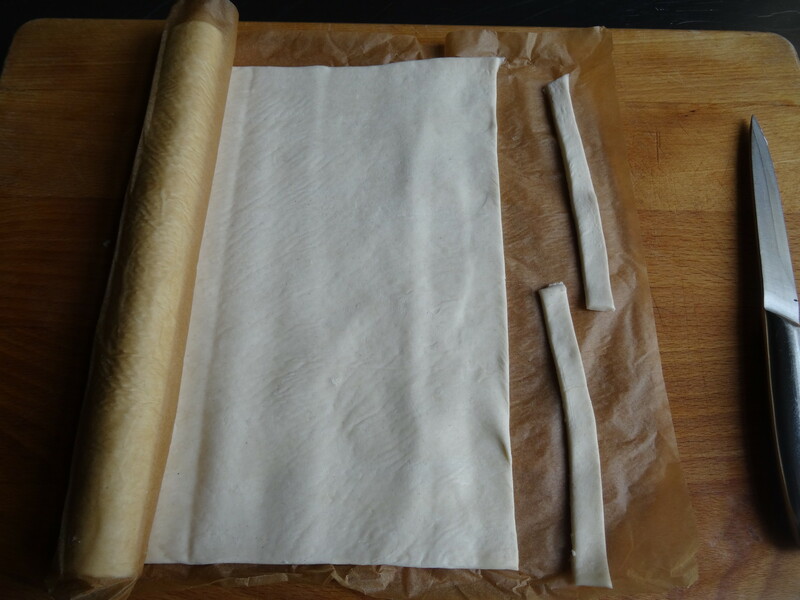 Brush with a little milk or beaten egg & place in the oven 200C/Fan 180/Gas 6 for 15-20 minutes until the pastry is golden. 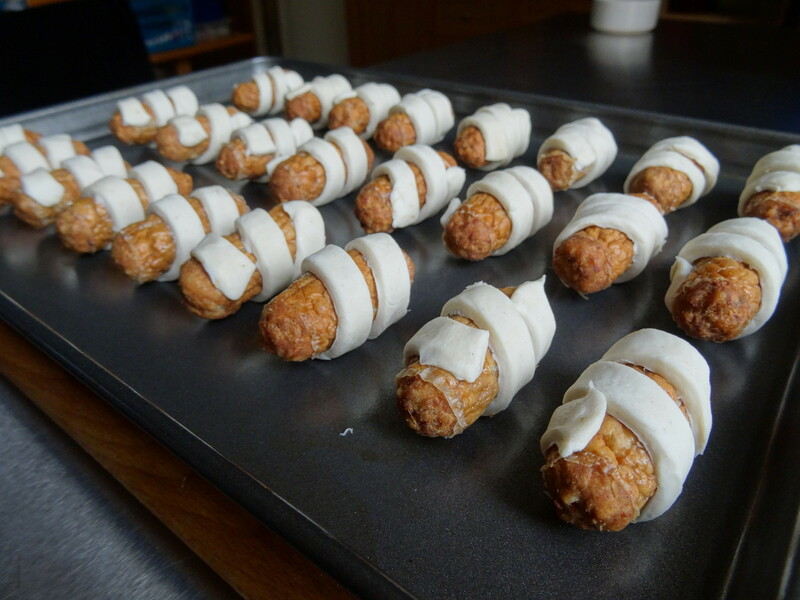 These are made using the Friday Night Sausage Baguettes recipe, with a few minor adjustments! 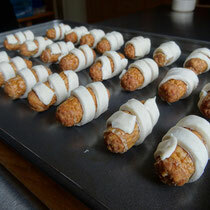 Cook the petit pain according to pack instructions, then wrap in foil to keep them warm. 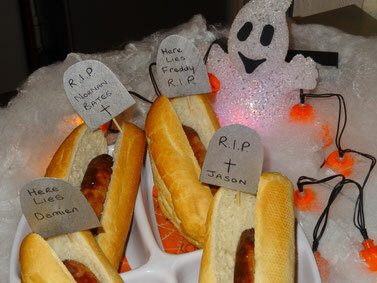 Assemble the coffins-slice them open & place a sausage in each, top with the onion & plenty of ketchup &/or mustard! 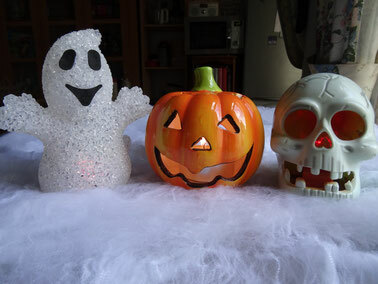 These would be great to give out to trick or treaters! Lay out 30 cake cases on a baking tray. 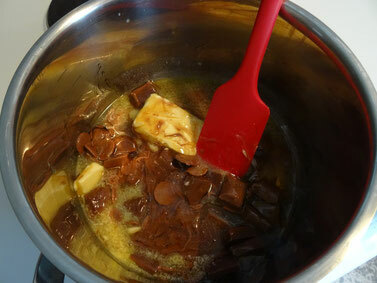 In a saucepan, gently heat the butter, syrup & chocolate. 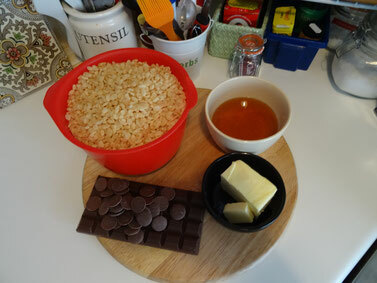 Stir continuously until melted. Take off the heat. 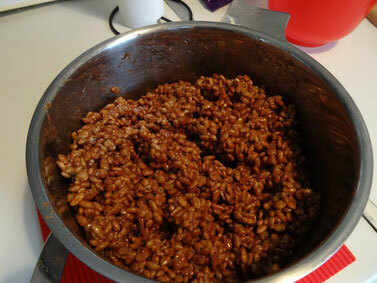 Stir in the rice crispies & mix well until combined. Spoon into the cases & chill in the fridge for at least one hour. 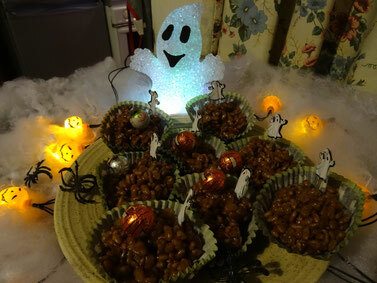 Decorate with halloween sweets if you like! 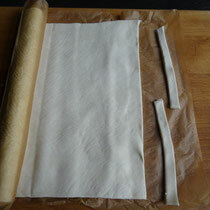 Place the sponges in a large bowl or 4 small dishes. 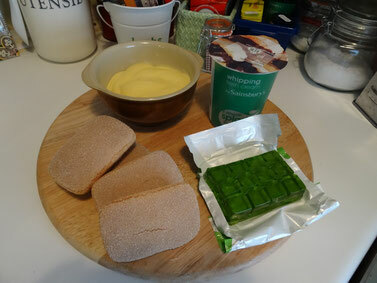 Make up the jelly according to pack instructions & pour over the sponges (divide evenly if making individual trifles). 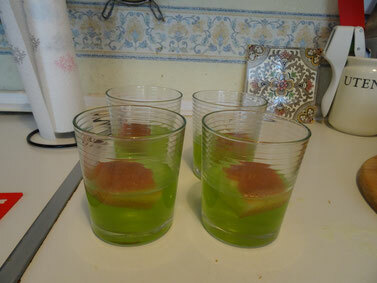 Once the jelly is set remove from the fridge & spoon the custard on top of the jelly. 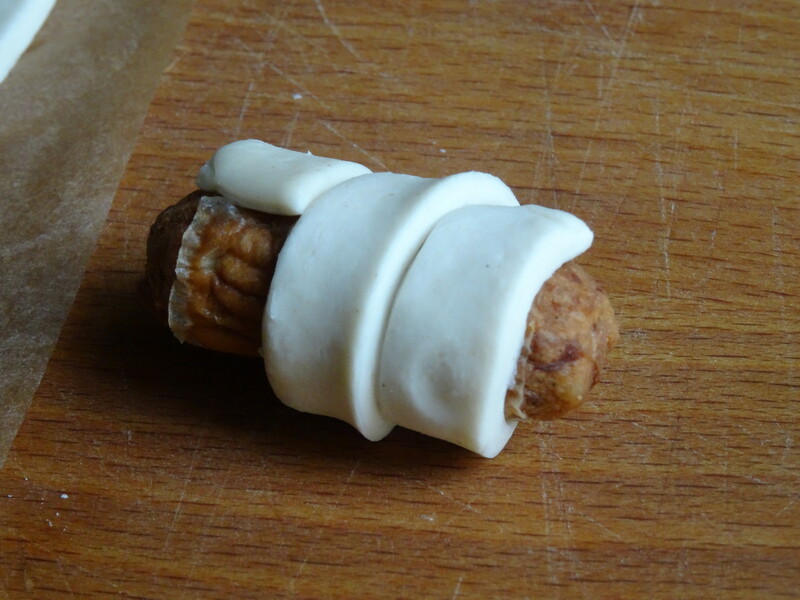 Whip the cream (or use squirty cream if you like!) & spoon on top of the custard. 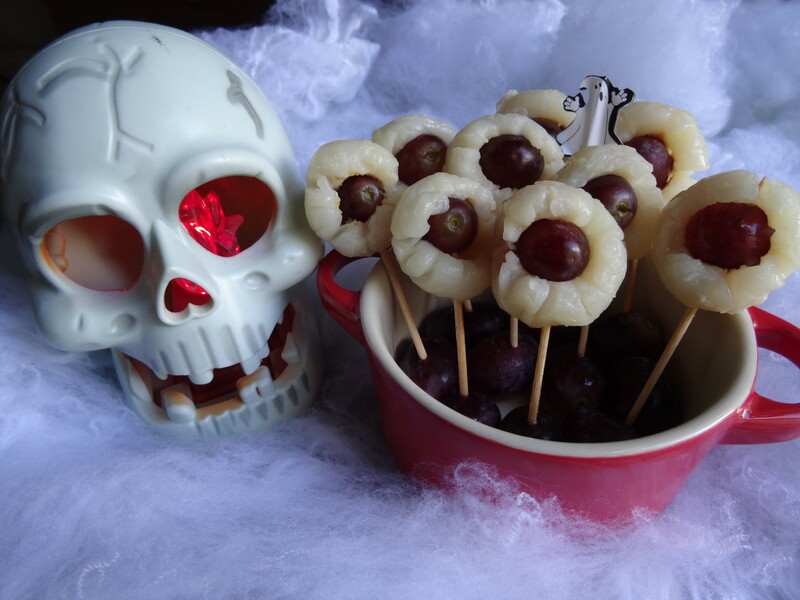 Decorate with sweets or any other things you fancy! 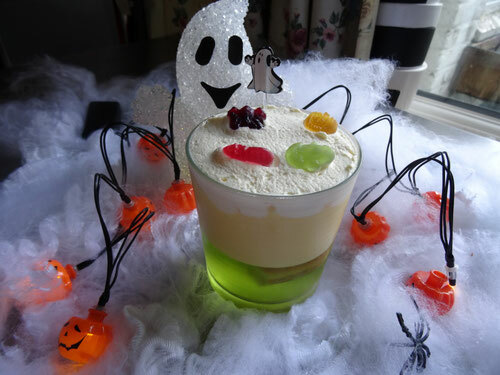 Serve immediately or put back in the fridge until you've been trick or treating!